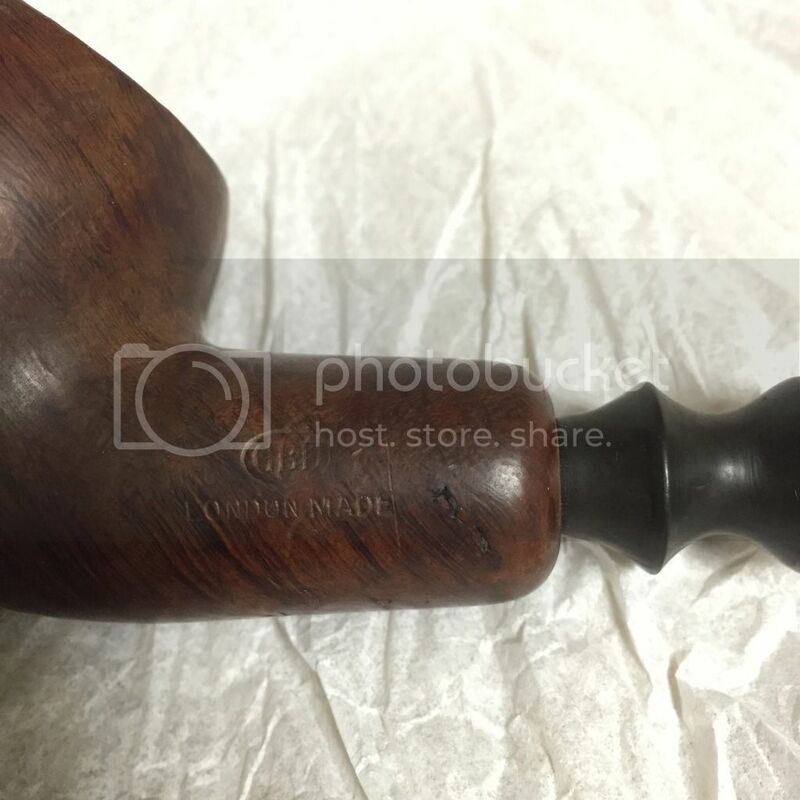 Hello, I recently purchased a pipe from an antique shop it says GBD LONDON MADE and there's a code that says 788. Anyone have any information on it? The bowl has is dark brown and instead of being a smooth straight line into the mouth piece, its rounded and the mouth piece is smaller and has some textured curves in it. Pictures are worth a million words. That and I don't have a good imagination. But 788 is a bent apple for the GBD line. But the model would be helpful to find more information on the pipe. It should also be stamped on the pipe, unless it's been worn off. Here is a link you should find helpful. 788 is the style number. GBDs are hard to date unless they are hallmarked. But the above site should be helpful anyway. A picture of the COM will tell the take. ("London, England" in a straight line, our a round stamp.) Round stamps were used after 1981. Would this round stamp be on the actual pipe? As I said I purchased it from an antique store as is with no case/box/etc. Yes it should be on the pipe, can you get a clear pic of the pipe with the stamping? This stamp was used prior to 1982 and with the brass rondell on the stem. Anything else was used after 1982. I see! I misunderstood what you meant by stamp. 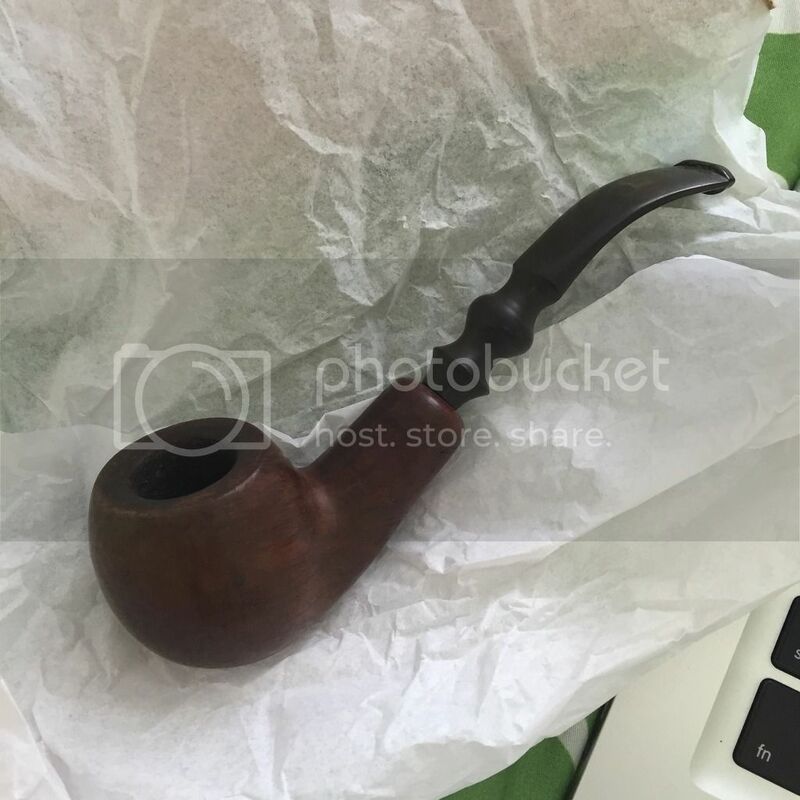 I am not a pipe person but I purchased this as a gift for someone who is. You have a knack for selecting a great gift for a pipe smoker. I'd be thrilled to get an old burner like that one. It's been around but that makes it all the more interesting. Because I really don't know a thing about pipes (and this having some story) I'm trying to see if I can find out how old it actually is! Thank you to everyone thats helped so far, any other help you can offer to helping me discover this would be very appreciated! 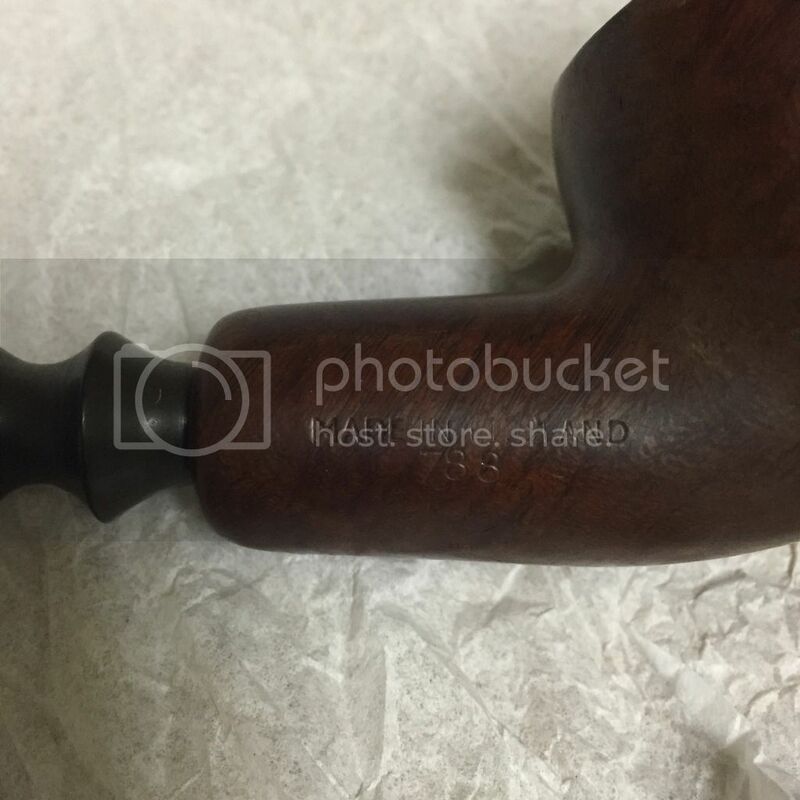 I noticed that many of the GBD pipes flow with a smooth line to the stem, does it mean anything that mine has rounded edges where the stem connects? No, that was used on a number of styles, most often in pipes that are labeled France. But it's not uncommon in those labeled Made in England. As a date indicator it has no real bearing.